Nutrition, or better said, proper nutrition, is the key to success in the treatment of the majority of problems encountered in the pet population today. Many of the conditions we see on a daily basis such as musculoskeletal conditions, digestive problems, skin conditions, and allergies can often be helped with proper nutrition. The holistic approach to healing is to simply help the body heal itself; that cannot be done without a good diet. 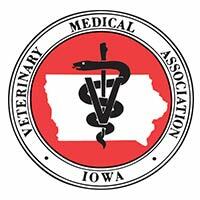 Most commercial pet foods simply fall short of properly maintaining the needs of our pets. 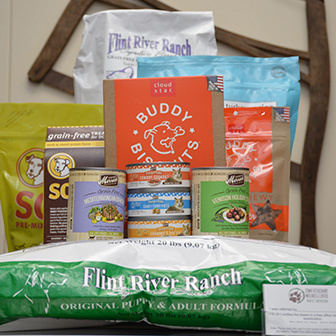 Pet food labels are required to list ingredients and a laboratory analysis of what those ingredients consist of. The problem is that our pets are not a laboratory!! They do not digest those ingredients in any fashion resembling laboratory analysis. Percentages of ingredients listed on labels in no way indicate what nutrients are actually available for digestion and absorption in the body. The best nutritional approach is to use wholesome fresh foods, prepared daily, for your pet. We advocate fresh raw meat and vegetables with properly prepared and added carbohydrates. The percentages of each of these three main ingredients vary with species and age. Proper supplements must be added to balance calcium, phosphorus and various other mineral levels. An appropriate essential fatty acid supplement must also be used. The specifics of this endeavor are discussed during the initial visit. We would be happy to discuss your pet’s nutritional needs with you and formulate a nutrition plan for your pet’s health. Please give us a call if you have any questions or wish to schedule an appointment to discuss your pet’s nutritional needs with us.